What an event! When we all come together the power of the Antal spirit is so strong it creates such a buzz which is evident to even our VIP guests. As a reminder, here are some key highlights. The venue this year was sleek as the conference centre was self contained with everyone in one zone this was great as we kept us together. It was amazing to greet everyone for around the world as people started to arrive on Thursday morning for the International Owners meeting. There is something to be said about seeing someone that you converse with on the phone / via email and then in person to exchange warm welcomes. Everything was ready to roll for the Franchise Advisory Council and the Owners meeting which was chaired by Alan Russell. The core of the meeting centred on the feedback from the survey sent to the network with some positive stats and some areas for further improvement. Tremayne Elson, our dynamic and energetic CEO responded strongly to the feedback from the network with some news on investments, forth coming projects and initiatives which included discussions around the structuring of royalty fees – there were some happy owners as they felt they were being listened to by Antal. An open question and answer sessions with Tremayne Elson, Tony Goodwin, Doug Bougie and Rakesh Patel allowed the owners to get in step with the vision of Antal for the coming years and ask their questions about this. This was followed by an inspirational discussion with Jim Weber, our business partner from the US – he wowed the room with his sheer determination to succeed with his results of $1 million per annum got everyone’s attention. He shared with passion his key drivers and factors of his success. Thursday evening was a light hearted evening of networking fun with an informal ‘pub style’ quiz. With so many people to exchange with, it was a late night and an early rise for a full conference day. 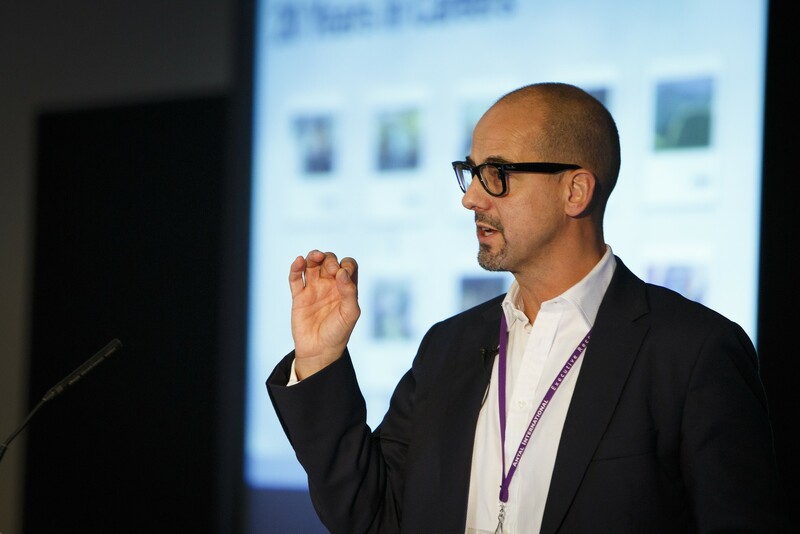 Friday was back to back with inspirational speakers – Tony Goodwin kicked off the day reviewing the highlights of the 20 years and the vision of the business. The new board of Antal was introduced and they outlined their ambitions. Tremayne Elson discussed the innovation and plans for the year ahead and the focus on quality volume recruitment and one brand one business. Leticia de la Herrán discussed changes in the market and how this would affect Antal. Mike Ryall discussed the vision of Parkside and then welcomed back Doug Bugie. Nigel Risler was the first of the leading speakers who challenging us to stay focused and ‘in the room’ when dealing with clients. Nigel shared his view that there was 4 key types of people in the business: “monkeys”, “elephants”, “lions” and “dolphins”. “Monkeys” are sociable, dynamic, demonstrative, enthusiastic, and persuasive people. Dolphin type of person is someone who caring, encouraging, sharing, patient and relaxed. “Lions” are competitive, demanding, determined, strong-willed and purposeful. “Elephants” are more cautious, precise, deliberate, questioning and formal. Nigel recommended approaching every person in business remembering these types and trying to transform your communication style accordingly. “No one can go back and make a brand new start. But anyone can start right now and make a brand new ending”. The next key speaker, Mike Walmsley talked about eight of the most powerful recruiter strategies. According to Mike, 52% of salespeople give up after only one rejection. Only 4% will try more than 4 times but on average, to get 1 client you must have get 8.4 rejections. A market focus was shared by our leading members of the Antal Network including Joe Devasia, Alan Russell, Luc Jones, Ahmed Saleh, Tremayne Elson and Eva Pique who discussed their local markets. networking rule#3 never ever mix networking with sales. Think how this person can benefit of knowing you! And the main golden rule was to spend more time to be interested rather than to be interesting. Mike Southon, our compare for the day conducted an interview with Tony Goodwin. They discussed Tony’s success as entrepreneur and Tony shared his own tips on growing an international business. The main message was to realise that we get paid to make things happen, persuade and influence. “Go communicate!” (c) Tony Goodwin. Mike Southon closed the conference with an inspiring speech on entrepreneurship where he managed to apply Beatles role model. The conference was wrapped up and everyone took time to unwind and prepare for the Gala Dinner and Awards, a black tie event which is the highlight of the Antal calendar (with a photo booth to capture teams posing for fun as hard evidence). 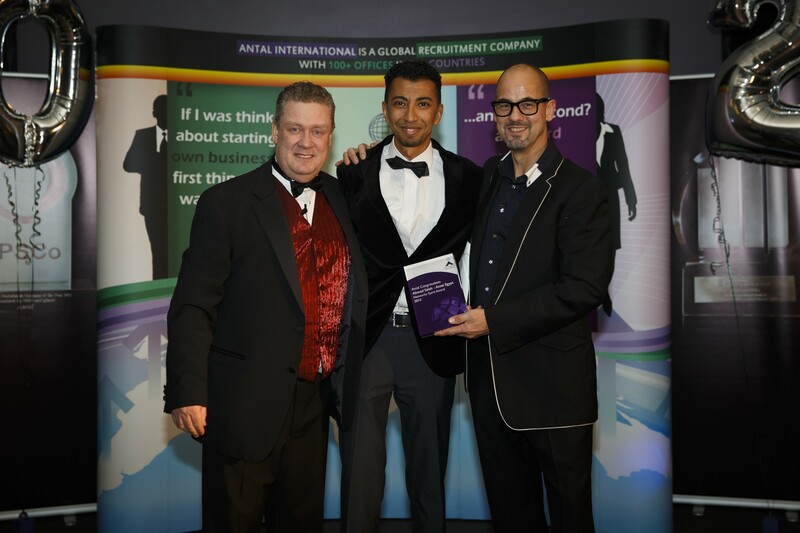 The awards were given in a wide range of categories which also included the Antal Spirit award which went to the office of Ahmed Saleh and the Network office of the year which was awarded to India office in Mumbai. We celebrated the success of our internationalists, top billers / top placers and top one man offices. The coveted Chairman’s award was won by Mike Ryall of Parkside who also got a standing ovation. We all then got on the dance floor to bogey the night away with highlights of traditional dancing from our Indian, South African, Chinese and Russian offices. Please see the pictures on our facebook page and more insight on the speakers on twitter. Are you ready to launch your own business?